If you have ever had a chance to use a pressure washer, then you know what we’re talking about here when we go into detail on the uses for a pressure washer. Not only are they extremely effective, it’s quite fun to blast stuff off the side of your house or the driveway. Perhaps considered a luxury item, a pressure can actually serve many practical uses. For example, if you have a lot of concrete at your home, you can blast off stains and leaves and other sticky stuff. Oh, not to mention what the birds can do! 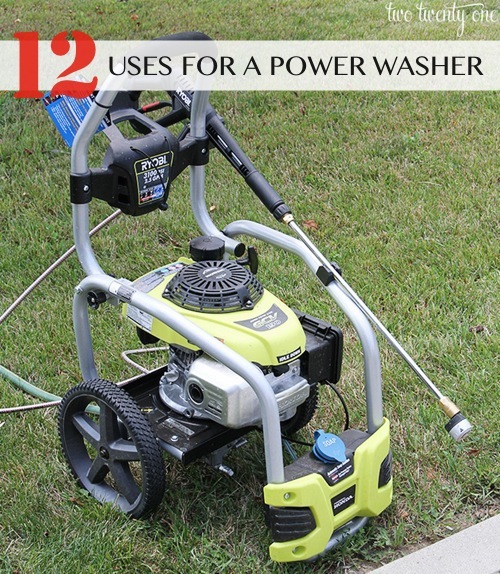 Take a look at these uses for a pressure washer and we’ll bet you run out and get one soon.